This installment of 'Where are they now?' looks at the team that managed to preserve League status for another season, after beating already promoted Rochdale 1-0 at Underhill. Of course it was also with thanks to Burton Albion who smashed Grimsby (the only other team threatened with relegation) at the Pirelli stadium. Jake joined from QPR after never starting for the then-Championship side. He quickly cemented himself as the Bees first choice goalkeeper, pulling off many a match-winning save! After January of this year, following a hip injury he fell out of favour with the manager – rumour has it there was a bust-up of some form, and it was probably understandable, yet unfortunate he left at the end of last season. Considering the defence in front of him over his time with the club, Jake was definitely a fan's favourite, and wasn't usually to blame for any of the silly and unnecessary goals conceded. At the time of writing, he is currently having a trial at recently relegated Plymouth Argyle, yet to seal a contract anywhere. Former Republic of Ireland defender, Gary Breen ended his career with Barnet after appearances with many clubs, most notably Sunderland and Coventry City; as well as playing in the 2002 World Cup. He joined the Bees in 2008, where he signed as player/coach and the following season signed on as a player/assistant manager to Ian Hendon – leaving in June 2010, when he hung up his boots. French left back Kenny joined Barnet back in 2007 after a year at Caen which saw him never play. He lasted three seasons before being released in 2010; however when new manager Mark Stimson took over, he offered the previously released players contracts. Kenny rejected the offer and ended up joining SPL club Inverness Caledonian Thistle. Sierra Leone international, Ahmed Deen joined Barnet in 2009 after being released by Macclesfield Town. Despite signing a two-year deal, he only lasted a season before being released at the end of his first year at the club. After leaving the Bees he joined Hayes and Yeading, in 2010 and lasted six months – he now plays for Dulwich Hamlets, a side in the Isthmian League Division One South (the eighth tier of football). Jamaican International, Micah Hyde has been in the game for just under twenty years and will probably be best known for his days Cambridge United, Watford and Burnley. 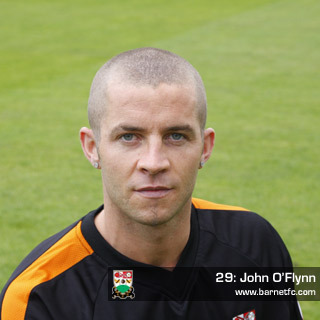 He joined the Bees in the 2009/10 season at the age of 35, and only lasted a year before being released. 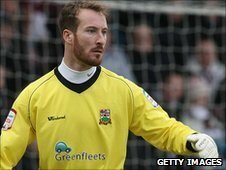 Now at the age of 37, he’s at Billericay Town. Ed joined on loan from Ipswich Town where he never made an appearance for the club. After a largely unsuccessful loan at Stevenage in the previous season, Ed only made nine appearances, scoring a solitary goal. After returning to his parent club, he was released at Portman Road and snapped up by Yeovil Town where he continues to play. JOF was a definite fan’s favourite and joined after spending six years at Cork City, his home town club. It’s fair to say he definitely lived up the number nine shirt, racking up the goals in his two years at Underhill. He rejected a £100,000 offer to join Shrewsbury which was to the delight of the majority of fans. However, the elation turned to disappointment when he left, after rejecting a contract at the end of the 2009/10 season. He went on trial with Bristol City, but was unsuccessful; consequently joining Exeter City where he remains today. Young, hot prospect, Mauro Vilhete was a result of the club’s youth system – he joined in 2009, after rejecting a scholarship from Aston Villa. A tricky winger/forward, Mauro was called up to the first team that same season, but only ever made the substitutes’ bench. However, he broke through to the first team last season, becoming the club’s youngest ever player, at the age of 17. He’s still with the club, and will hopefully continue to progress! Next week’s ‘where are they now’ will look at the players involved in the most recent great escape of 2010/11 – the starting XI that managed to beat Port Vale in the final game of the season to preserve League status.